Ford again is the best-selling auto brand in Canada, with a significant increase versus last year. Part of the credit goes to the Ford SUVs, which saw sales gains versus last year as well. Now with four distinct models in the 2018 Ford Escape range, we here at Van Isle Ford thought it would be beneficial to break down what’s offered in each of the different Escape models. The entry-level Escape is anything but basic. Standard equipment includes the powerful 2.5 L i-VCT engine with variable intake cam timing that produces a stout 168 horsepower. Power is transmitted to the front wheels (FWD) by a six-speed SelectShift automatic transmission. Fitted on the S are 17” steel wheels with wheel covers and P235/55R17 tyres. The cargo load floor is adjustable with high and low settings, and four-wheel disc brakes with an anti-lock braking system (ABS) help you maintain steering control in hard braking maneuvers. Interior features include cloth –trimmed front bucket seats with six-way manual adjustable driver’s seat, standard air conditioning, power windows, power mirrors, and an AM/FM/CD player with six speakers. One big step up in the SE is the engine. Powered by the advanced 179 horsepower 1.5 L EcoBoost engine coupled to six-speed SelectShift automatic transmission with optional paddle shifters. Optional is an Intelligent AWD system. In addition to the features listed for the Escape S, the SE adds the Sparkle Silver aluminum wheels as standard , fog lights, cloth-trimmed front heated bucket seats with 10-way power driver's seat with power lumbar adjust. Also standard are dual-zone electronic automatic temperature control, integrated blind spot mirror, SecuriCode invisible keyless entry keypad, and dual chrome exhaust tips. Another big step up is the standard Torque Vectoring Control which transfer torque to the wheels with the most grip, reducing understeer which assists the Escape in hugging the curve. Standard upgrades over the SE include heated 10-way power driver seat with leather trim, Sync3 and Sync Connect added to the audio system, a leather-wrapped steering wheel with cruise and audio controls, with manual tilt and telescoping, leather-wrapped shift knob, sun visors with dual illuminated vanity mirrors, and four Powerpoints located at the front/top of the centre console, inside the console bin, and at the rear of console and cargo bin. At the rear is a power liftgate which can be operated from your remote control. The big step up from the SEL to the Titanium is the larger and more powerful 2.0 L Twin-Scroll EcoBoost engine that delivers 245 horsepower. Ford’s Intelligent 4WD System is standard as well, which when combined with the towing package is capable of trailering a 3500 lb. load. Additional upgrades include a memory feature for the driver's seat and exterior mirrors, a Sony Audio System with 10 speakers, a voice-activated navigation system, a 110V outlet, a heated, leather-wrapped steering wheel, a foot-activated, hands-free power liftgate. All 2018 Ford Escape models come standard with Halogen reflector-beam headlights, Rear View Camera, Personal Safety System with dual-stage driver and front-passenger airbags, driver's knee airbag, front seat-mounted side airbags, Safety Canopy System side-curtain airbags, Belt-Minder, Emergency Brake Assist System, head restraints and three-point safety belts at all seating positions, height-adjustable front safety belts, LATCH system at rear outboard seating positions, SOS Post-Crash Alert System, Tire Pressure Monitoring System (TPMS), SecuriLock Passive Anti-Theft System, remote keyless entry, MyKey, windshield wiper de-icer, and daytime running lights. Optional on SE, SEL, and Titanium models is the Ford Safe and Smart Package, which consist of adaptive cruise control, forward collision warning with brake support, auto high-beam headlights, Blind Spot Information System with Cross-Traffic Alert, Lane-Keeping System, Front rain-Sensing Wipers, and Auto-dimming rearview mirror. There are so many additional technical, appearance, and convenience features available on the 2018 Ford Escape that there’s literally not enough room to cover them all. Instead, if you live in Parksville, Qualicum Beach, Tofino, or Ucluelet and you’re looking at a Compact SUV, drive over to Van Isle Ford in Port Alberni and talk with our trained sales experts. 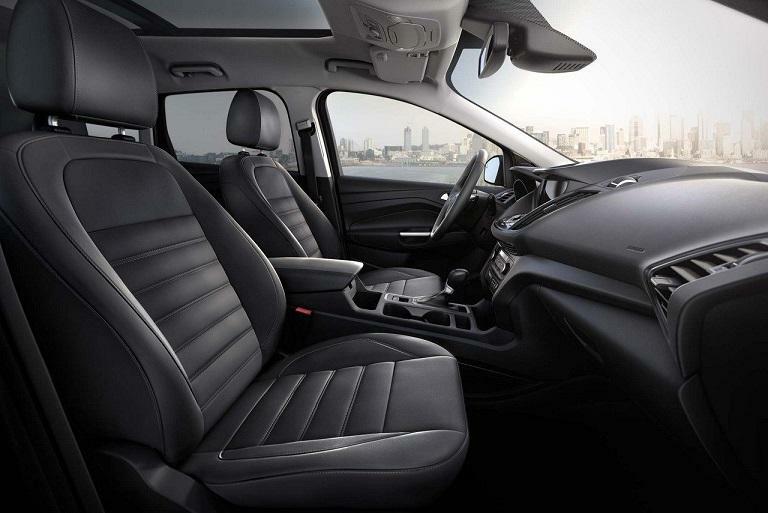 They’ll take you through each Escape model in detail then send you out on the open road for a test drive. 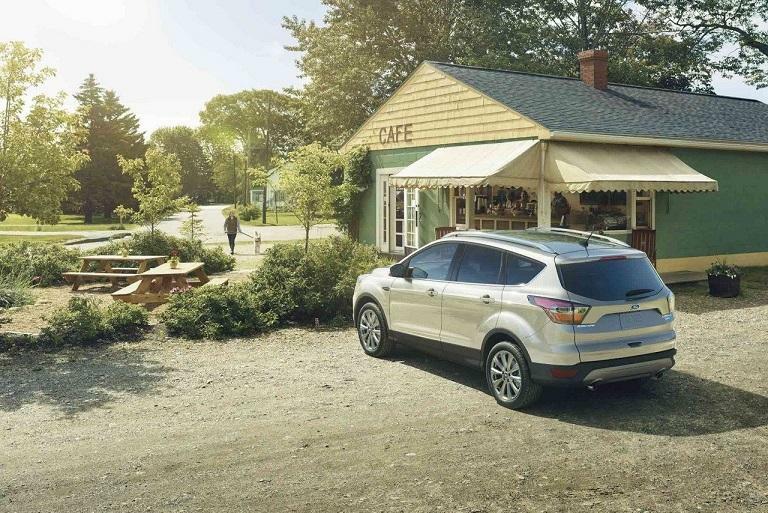 As one of the top-selling SUVs in Canada, know you’ll be hooked on the Escape.